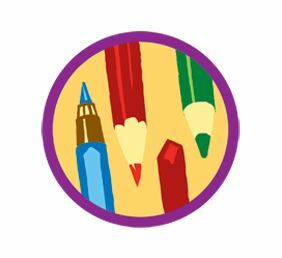 Artsy Partsy has been helping Girl Scouts earn Badges since 2012. We specialize in the Brownies Painting Badge, the Juniors Drawing Badges, the Cadette Comic Artist Badge and the Seniors Collage Badge. The journey to earn your Girl Scout badges starts here! Programs are designed to fulfill individual troop and badge requirements. We provide tools and instruction tailored to each badge! The cost is $20-$25 per participant. Event Booking requires a minimum of 8 participants. Our two hour event covers all the requirements for your Brownie to earn the Painting Badge. The Brownies favorite part of the learning experience is the Still Life painting on Canvas. Contact us to schedule your private Painting Badge session. Our two hour event covers all the requirements for your Junior to earn the Drawing Badge. The Juniors favorite part of the learning experience is the trying out all of our different drawing mediums. Contact us to schedule your private Drawing Badge session. This Comic Artist & Collage Badges are such fun badges to earn your artist won’t want to leave the studio. Our two hour event covers all the requirements for your Artist Badge. The Girl Scouts favorite part of the learning experience are the detailed projects they get to complete. Contact us to schedule your private Comic Artist Badge or Collage Artist Badge session.